The Jubilee College of Music (JCM) began offering sessions on vocal training, warming ups to develop their basic exercises in abdominal breathing. The practice session, led by a music college graduate who specializes in vocal music, mainly included praise songs. The first lesson covered methods of abdominal breathing as students learned inspiratory and expiratory technique through the abdomen. They observed that the sound was fuller and more powerful through the newly learned skill. Singing songs during the training assisted students to put into practice the vocal methods they learned in theory. 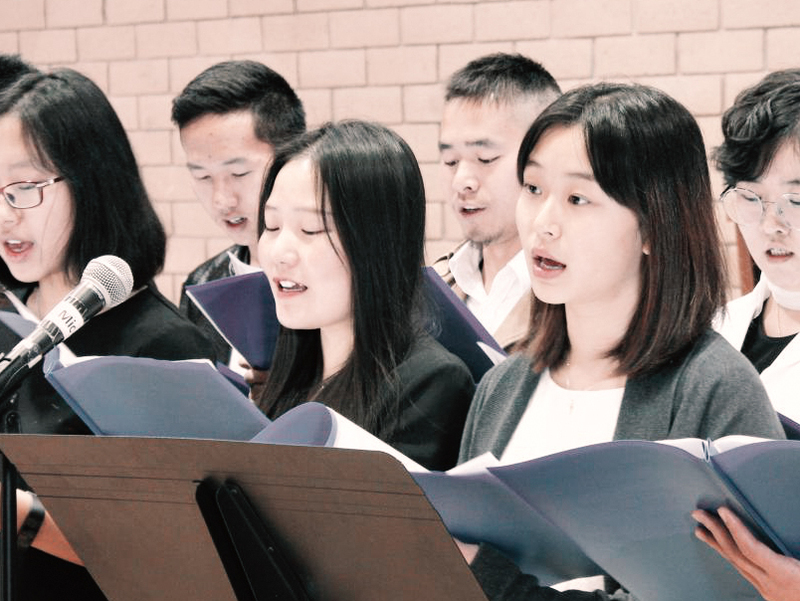 Along with warming up sessions, music students are also training themselves to take up leadership roles in campus choir in order to better serve their campus chapel. After a few meetings between JCM and campus chapel team members, several new rules were decided and applied to the current practice routine. For Soprano, Alto and Tenors, respective section leaders took charge and checked singers in each small practice group. Additionally, the team will follow the choir discipline and will appear in choir attire for each session. The attire will distinguish the group to practice piety and humility for services. This will, in turn, increase student singers' dedication and promote unity. The coordination between JCM and campus chapel team is anticipated to bring greater changes to the praise and choir this quarter.